This weekend was pretty low key. M&I took the car for a drive and did a little shopping, did a little cleaning and organizing. 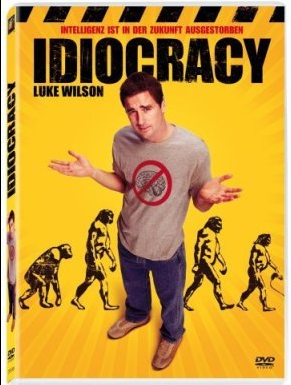 Saturday evening we stayed in and watched Idiocracy. Although this was a 2006 release, you may not have heard of it because it was not widely released. Why? Well because some people might find it offensive. Personally, I found it hilarious and just a bit scary. Offensive? A little. But very funny. Alan and I enjoyed it. Thanks for the suggestion.